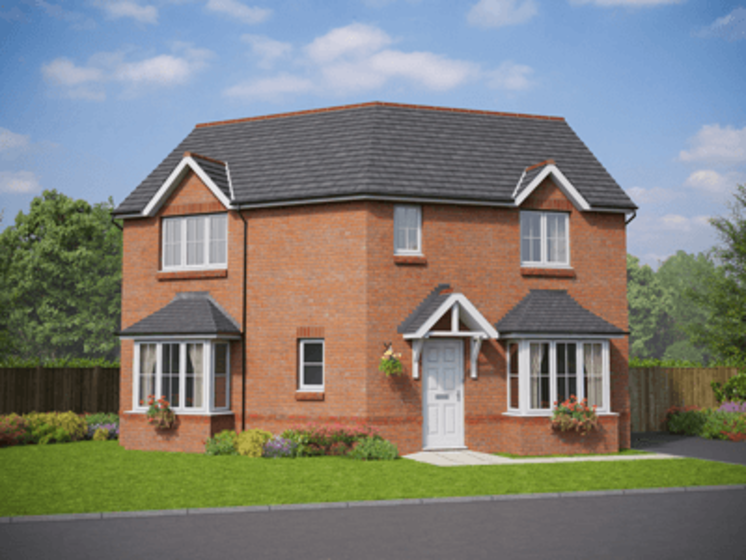 The Chester is a 3 bedroom detached home with two double bedrooms and a further single bedroom. On the ground floor at the front of the property is the large spacious lounge stretching out to the rear of the home. The open plan designer kitchen and dining room is complete with integrated Zanussi appliances. You can choose to personalise your kitchen from our wide range of colours and styles. Upstairs on the first floor are two large double bedrooms with the master bedroom benefitting from an en-suite with high-end Ideal Standard sanitary ware. A further single bedroom and a family bathroom are also on this floor. Parc Aberkinsey is a development of 3 and 4 bedroom homes surrounded by open countryside and benefiting from extraordinary views. The plot is set in a picturesque location on the outskirts of the south east of Rhyl. 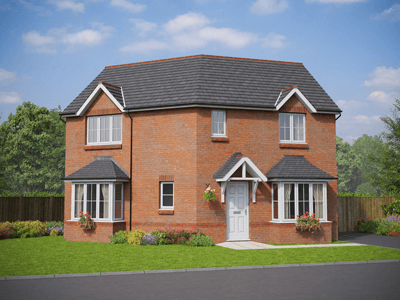 As well as enjoying a tranquil rural setting, Parc Aberkinsey is ideally located for all the amenities on offer in the nearby towns of Rhyl and Prestatyn. The A55 is within easy reach and provides good communication links to the motorway network allowing easy access to the cities of Chester, Liverpool and Manchester. This coastal location is perfect for commuters, shoppers and tourists alike. We have a range of schemes to assist your move including ‘Part Exchange’, ‘Help to Buy’ and our very own ‘Move Simple’ and ‘Forces Discount’ schemes.